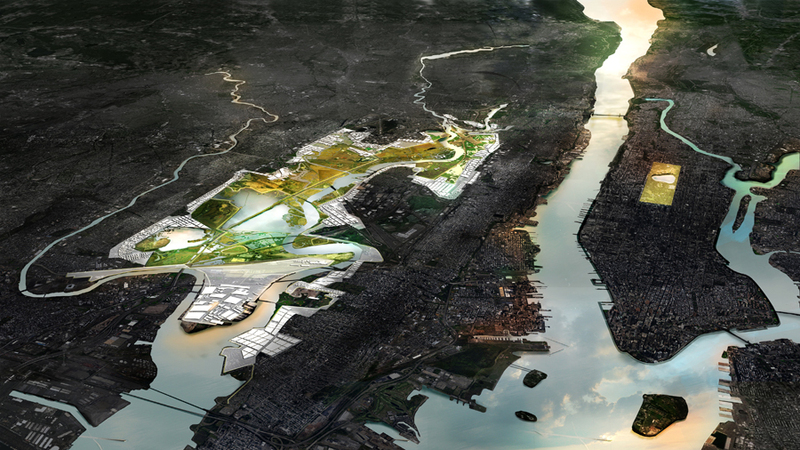 Rendering of the New Meadowlands Rebuild By Design project. The third amendment will authorize transfer of $5 million of CDBG-DR funds from tourism marketing to the RREM program. 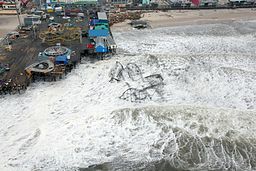 New Jersey Future has tracked closely the state’s allocation plans for federal Sandy recovery monies, and has advocated for funds not just for rebuilding and restoration, but also for resiliency planning, so that when the recovery is completed New Jersey has fewer people in harm’s way and more measures in place to help it withstand the next major weather event. 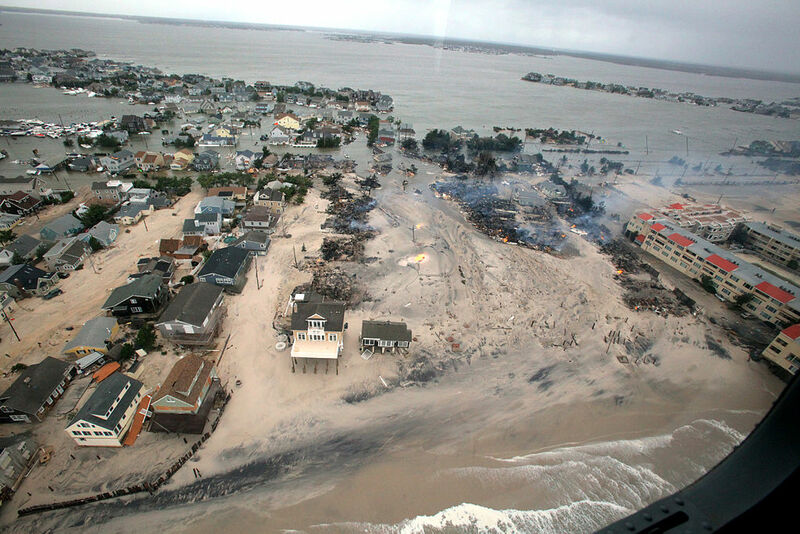 New Jersey Future will be reviewing the planned distribution for Rebuild By Design implementation to understand how it will address social equity and resilience issues, particularly focusing on whether the spending will help vulnerable populations as required by the federal authorizing legislation and if the proposed projects will provide lasting protection from flooding into the future, even as sea levels rise. We will be submitting formal written comments and will be offering testimony at one of the scheduled public hearings on the plan (see below). As proposed, funding for the Rebuild By Design component will be distributed between two projects; one in Hoboken, Weehawken and Jersey City and the other in the Meadowlands region. The New Meadowlands project, which will receive $150 million, consists of two key elements, the Meadowpark and the Meadowband. The Meadowpark connects and expands the marshland restoration efforts by the New Jersey Meadowlands Commission into one connected regional wildlife refuge accessible to the public. Within the protected areas, several fresh-water basins are designed to absorb rainwater flooding. The Meadowband, consists of a local street, a Bus Rapid Transit-line, and a strong of open spaces and reserve access points on top of an outer berm. 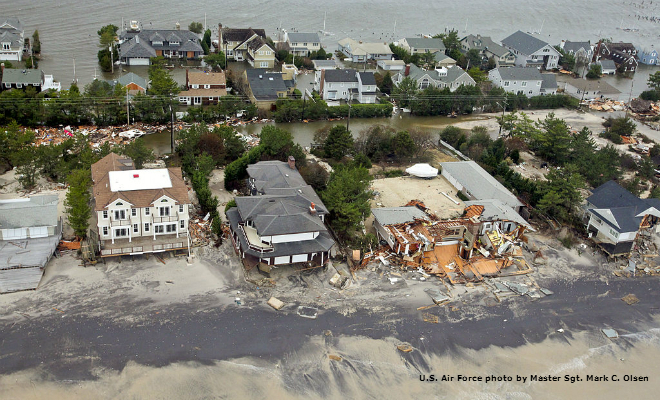 The linear berm is designed to address storm surge flooding. 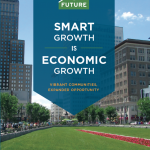 The CDBG-DR allocation will be used to fund a pilot project within the overall plan. The remaining $230 million of the RBD portion of the allocation is for the Resist, Delay, Store, Discharge project in Hudson County, which calls for a four-part system of water management, including hard infrastructure and soft landscape for coastal defense, infrastructure and policies to slow rainwater runoff, a system of interconnected green infrastructure such as permeable paving and rain gardens to store and direct excess rainwater and water pumps and alternate routes to support water drainage in order to address flooding in Hoboken, Weehawken and Jersey City. 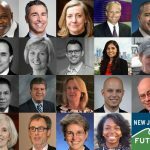 The New Jersey Department of Community Affairs will solicit public comments on the state’s plan from Dec. 16, 2014 until Jan. 15, 2015. Public comment may be submitted in writing via email, traditional mail or in person at either of two public hearings. Those who wish to speak at the public hearing must register online in advance. Mailed comments should be addressed to Jamie Saults, Constituent Services Manager, Sandy Recovery Division, NJ Department of Community Affairs, 101 South Broad Street, P.O. Box 823, Trenton, NJ 08625. Emailed comments should be addressed to Sandy Public Comments (sandy publiccomment dca nj gov) .